There is no shame in using cheap beads in your jewelry pieces. Many cheap beads are available in a fantastic amount of colors, styles and finishes that one hundred years ago would not have been available at all! Why are cheap beads so cheap? Recent advances in technologies in plastics, glass finishes and recycling techniques have enabled many beads to come on to the market at some pretty decent prices. Cheap beads does not mean inferior beads - a smart beader will know the difference immediately. While some cheap beads will lose their color, not be uniformly the same shape or size, and perhaps break quite easily, there are just as many other cheap beads that will do the job. Plastic beads are rarely expensive, as they are easy to make in large amounts. They can have some very pretty effects, and are much easier to make than glass beads. They can also be made more uniform, as plastic is easier to control than molten glass. Getting beads cheaply can also be the result of smart purchasing decisions. Bargain priced beads of good quality are always available to the beader who shops around. Wholesale purchases or buying in bulk can also give you some cheap beads that have been discounted. If you know that there is a shape or type of bead that you will use repeatedly, it is worthwhile checking out any discount that you may be entitled to. There are stores that offer loyalty schemes. After spending a certain amount of money, you are able to buy cheap beads from them, or even get some for free after you've spent a certain amount. Most stores or suppliers are happy to sell you cheap beads when they know you will be a repeat customer. It is just a matter of shopping around for the best deal, then staying loyal to that provider to get as many cheap beads as possible. What do I do with my cheap beads? Cheap beads are great as fillers or spacers, as they are not meant to be noticeable or obvious. 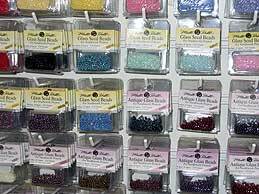 If you find yourself wanting to buy some really expensive seed beads that are a plain color, you should ask yourself why. Cheap plain colored beads have a great advantage over ones that are more expensive. You can buy more of them for your money, and because they are plain they are not expected to be the main feature of the jewelry anyway. Cheap black or clear beads are always useful to have around, as these two colors will always go with whatever project you are working on at the time. If you are using cheap beads as fillers, always remember to choose a color that is featured in the rest of the jewelry. If you use cheap beads to contrast with all the other beads in the necklace, this can draw attention to all the wrong places. If they actually look quite cheap, try to fade them as much as possible into the background. If you find that they are really taking away from the other beads, opt instead to use them in a different project. query: INSERT INTO accesslog (title, path, url, hostname, uid, timestamp) values('Cheap Beads', 'node/33', '', '3.84.182.112', 0, 1555950539) in /home/surelion/public_html/drupal-4.6/includes/database.mysql.inc on line 66.